We can install two-point or three-point belts to increase the passenger capacity of your truck. This is a safe and responsible solution that meets the requirements of the law and regulations. Depending on the brand and type of cabin we can create up to 4 additional seatings. When installing additional seatbelts, we use the original lower bed or a new ESTEPE sofa as a seat. A comfortable backrest is mounted against the rear wall to create a comfortable seat. The backrest is covered with the original or matching fabric so that the whole looks neat and finished off well. The seatbelts, either two- or three-point, provided are certified for the admission of the vehicle. For creating more passenger capacity we use approved structures and certified seatbelts, which result in a safe seating. In addition, it also ensures that the extra seats are admittable in most countries, without any problems. A combination of sitting and sleeping. Ideal for those who want more passenger capacity, but also want to offer a second (or in some cases even a third) person a comfortabel place to sleep. 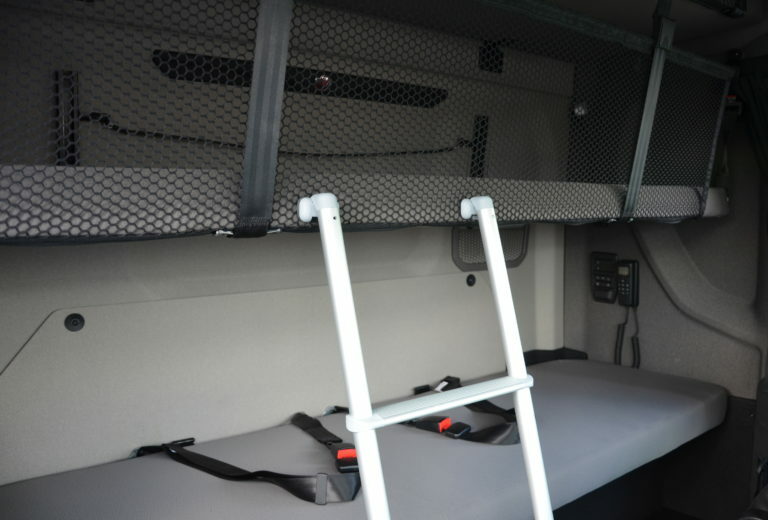 The extra bed installed in the cabin folds back easily so that it can also serve as a backrest, which in terms of comfort, safety and appearance meets the requirements you have for your original cabin.